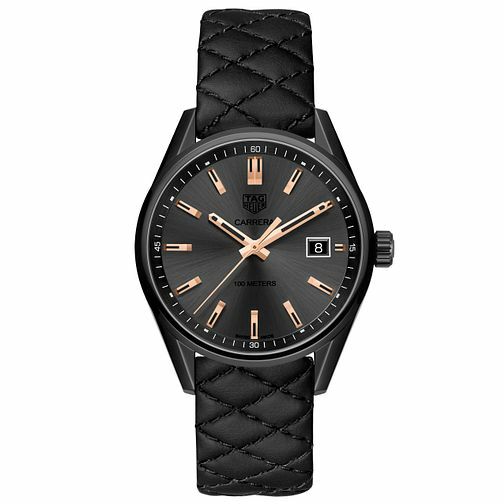 A sleek and sophisticated TAG Heuer timepiece from the renowned Carrera Calibre collection. Set with a black ion plated case creating a fresh, contemporary look, complemented by the rose gold tone details. Completed with a date window and black strap.